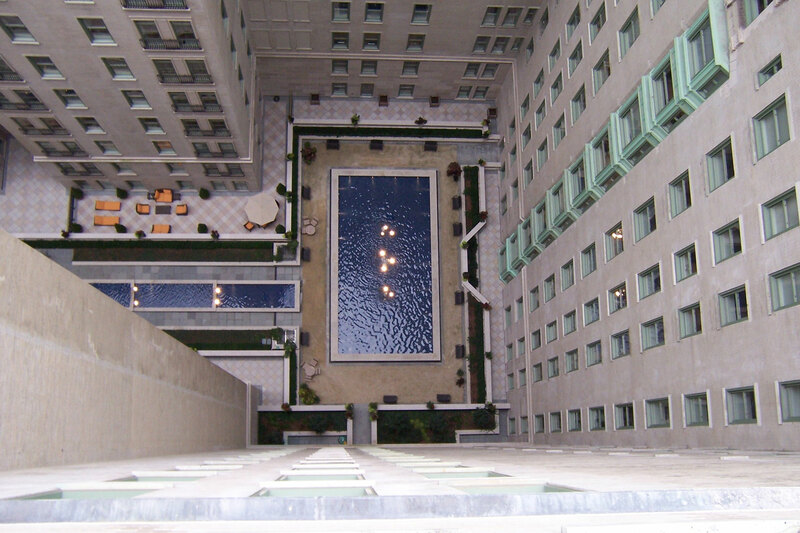 Delta Fountains helped create water features for the courtyard of The Plaza Hotel in New York City. 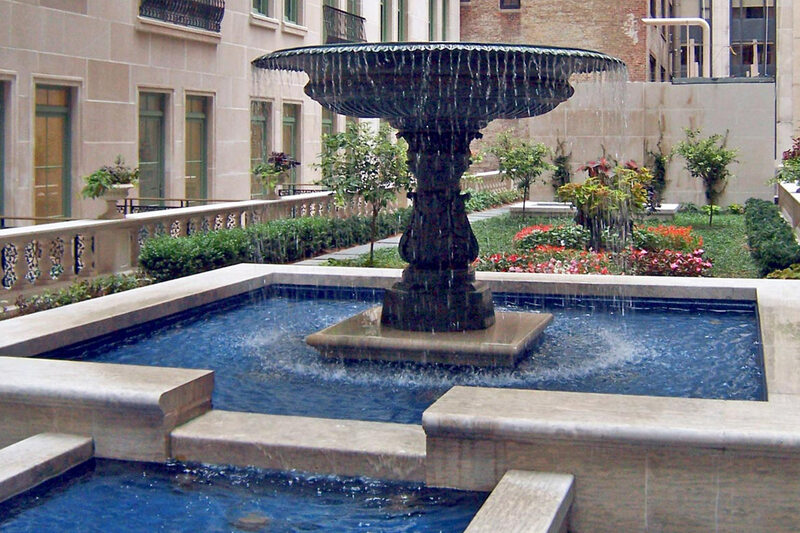 The prominent feature pictured here is the cascading bowl fountain. 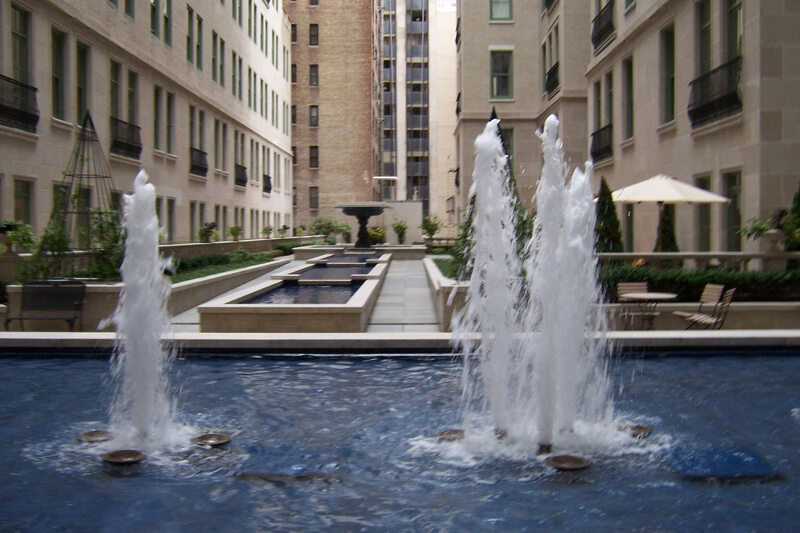 The water features have several submersible fountain lights surrounding the bowl feature, the junction points of the linear pool, and surrounding the geysers. 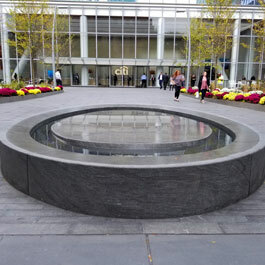 The geyser water feature within the courtyard sits near the base of the bowl feature's pool. The geysers are surrounded by submersible fountain lights. 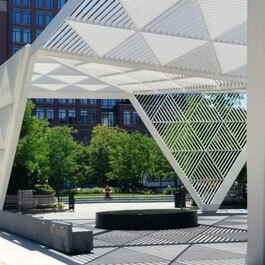 The hotel creates a "T" shape, as it wraps around an interior courtyard that is hidden from the outside bustle of the city. Shrubbery and floral line the walkway next to the fountain in The Plaza Hotel's courtyard. 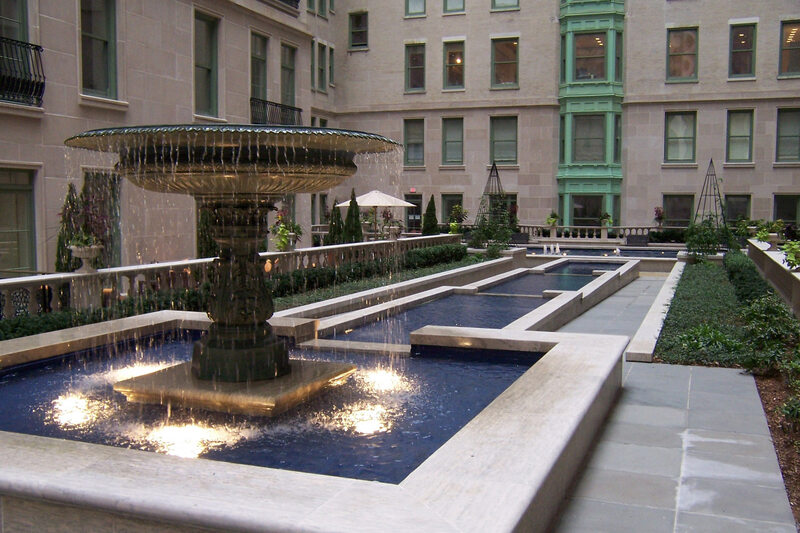 Delta Fountains created a cascading fountain and two linear water features in the interior courtyard at The Plaza Hotel. The Plaza Hotel is a New York City landmark luxury hotel, which has been the site for famous performers, guests and motion picture productions over the past 100 years . 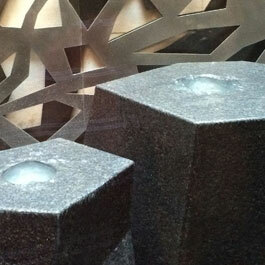 The hotel creates a “T” shape, as it wraps around an interior courtyard, hidden from the outside bustle of the city. 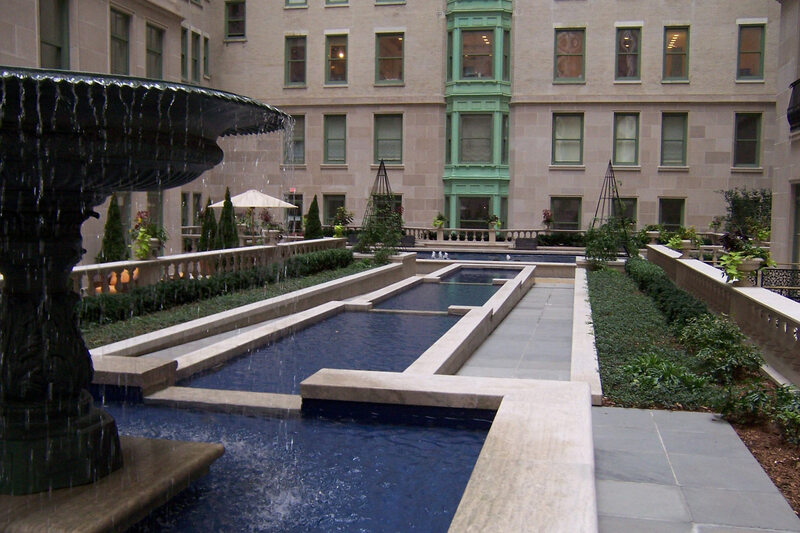 The Plaza Hotel fountain is a fully automated, stationary water feature with both bowl and geyser features. The bowl feature, with one discharge point, operates at a minimum pumping rate of 140 GPM at 60 feet TDH. Water from the bowl falls into a linear trough that expands to most of the length of the courtyard. The trough has a slight tiered effect as it leads away from the bowl feature. Submersible fountain lights surround the bowl just beneath the water’s surface and at each drop-off point along the linear trough. The geyser feature includes five display discharge points and operates at a minimum pumping rate of 250 GPM at 75 feet TDH. The nozzle sprays operate at display heights of 12 feet in the center and eight feet on the outside. 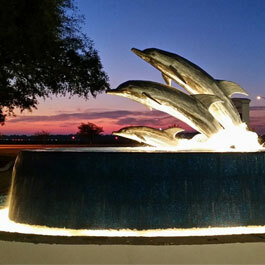 Fifteen submersible fountain lights illuminate the feature. Delta Fountains provided mechanical and electrical equipment for the project, which is mounted in an equipment room.